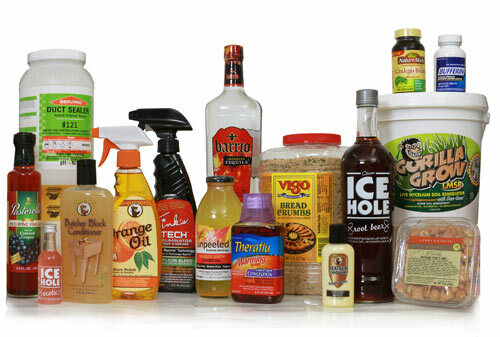 Weber provides custom-integrated labeling solutions that are uniquely designed, engineered and built to streamline specific product identification and handling operations. Companies in virtually every industry have utilized Weber's wide range of custom systems. Each is uniquely engineered to address a specific application, yet flexible enough to fit seamlessly into an existing packaging line. Weber's discovery process reveals what is required and expected from an integrated labeling system. We take into consideration equipment and software currently in use, production speed and volume, and the packaging substrate. This enables us to provide the best possible identification solution at the most economical price. • Create a Functional Specification report detailing in depth the exact components required for the system. • Provide a concept design illustrating every detail of the system and its final assembly. • Use specified packaging materials to simulate actual production. 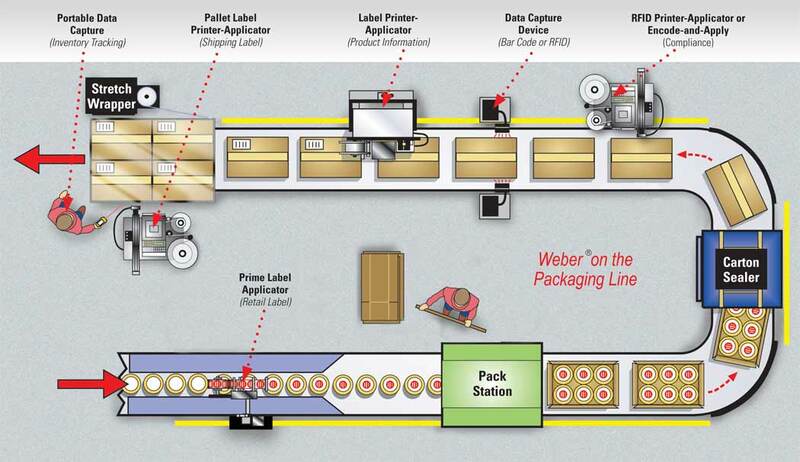 Weber offers a complete line of labeling equipment, all designed for easy integration into virtually any packaging line. 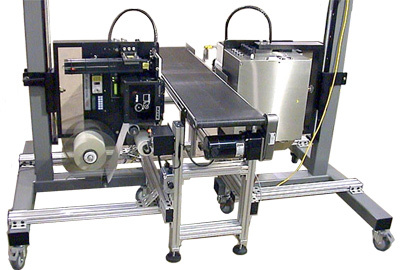 Foremost among our line of labeling systems are our pressure-sensitive label printer-applicators and prime label applicators, each engineered to meet the needs of a specific application. Today's labeling demands often include RFID compliance labeling, so we've developed RFID encode-apply equipment and a unique system that combines smart label printing, encoding and application in a single unit. Both systems also verify proper RFID encoding and reject non-compliant labels before they are applied. Weber also provides a diverse selection of Zebra-brand label printers and RFID printer-encoders for off-line labeling needs. In addition, Weber also can supply the necessary material handling equipment, including conveyors, equipment stands, carton feeders and much more. Plus our bar code and RFID data capture products can gather information that will ensure accurate product identification and provide real-time inventory management data. The cornerstone of every Weber labeling system is our exclusive Legitronic® Labeling Software, the most versatile label design, printing and RFID encoding software available anywhere. This software package eliminates the need to maintain a separate database for label information by providing compatibility with many popular database, word processing and graphic design programs. And remote input capabilities permit direct access from scales, PLCs and other devices. Legitronic software also is ideal for networks, as well. It efficiently handles multiple systems and shared file support, while a built-in security system restricts use and protects valuable information. The software offers many options and can be custom-designed to complement and help control any operation. Weber provides the best in labels, tags, RFID smart labels and printer ribbons to ensure compatibility with our integrated systems. We convert and print labels at our own manufacturing facilities. Our offering of pressure-sensitive labels includes stock labels for general-purpose labeling, plus custom, variable-imprint labels and tags for more challenging applications. In addition, we also are a leading converter of eye-catching prime labels. We manufacture prime labels in up to ten colors – including four-color process – using both flexographic and digital printing methods. We're also applying our expertise as a leading manufacturer of labels to provide the finest in RFID smart labels. By making these labels in our own plants, we're able to maximize performance and minimize costs. The chemists and laboratory technicians who comprise Weber's Research and Development team help take the guesswork out of label selection. All label materials and printer ribbons undergo rigorous testing in our quality assurance laboratory to insure reliability in any environment, including harsh conditions. Our management system emphasizes continuous improvement and defect prevention through compliance to ISO 9001 standards. Every Weber integrated system includes expert installation. Operators also will receive hands-on training covering the equipment's use and basic day-to-day maintenance. All efforts are coordinated by a local Weber account representative, who will ensure the system is fully operational in the shortest time possible. Even after system installation is complete, Weber customers can rely on a nationwide direct service organization that will keep integrated labeling and coding solutions running at peak efficiency. Weber's trained professionals provide immediate technical support through our central dispatch center. Call upon our knowledgeable customer support specialists for answers to hardware, software, or applications questions. Our customer service representatives handle orders and inquiries using the latest order-entry systems. Assistance is never more than a phone call or e-mail away. Weber integrated custom labeling systems can be found in virtually all industries, from medical to retail, from plastics to automotive, from food to pharmaceutical. Our systems are used to address countless applications, such as product identification, bar code compliance labeling, inventory control, work-in progress tracking, shipment addressing, and more.